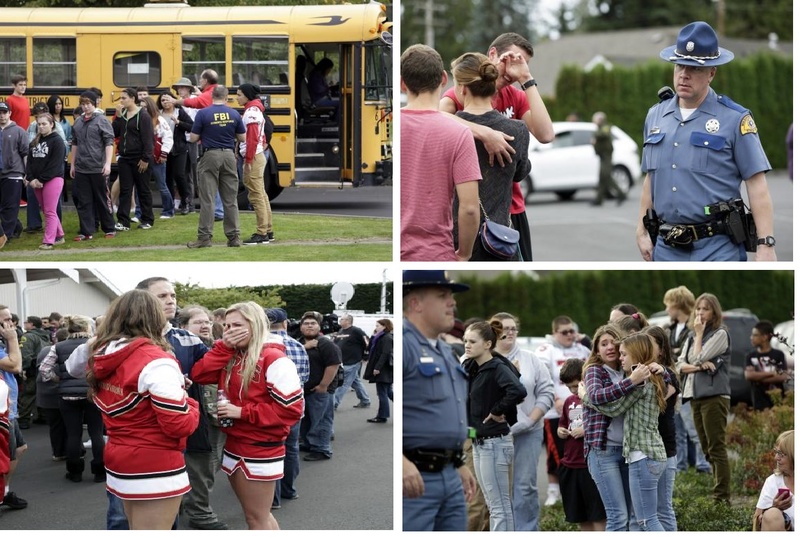 In light of the new school shooting at Marysville High School in Marysville, Washington it seems appropriate to re-visit the topic of gun control (here we go again!) in the country. What gun control you might ask. There is no gun control. Be ready to hear arguments for and against gun restrictions; beyond the arguments, nothing will happen. I give you my word. Most Republicans, read again, most Republicans (there are a few Democrats) make it their job in Washington to prevent restrictive gun legislation from even being voted on, let alone pass in the House. The arguments, which most Republican fans buy, are that gun control, gun legislation would be an infringement to their constitutional rights. Great! Who wants to have his/her constitutional rights infringed? It should have been obvious by now that the arguments have no merit. After all, anyone who has a brain should be able to discern between letting the youngsters be gunned down or implement policy and legislation to make a little harder for those types of incidents to occur. Nope. Republican legislators in Washington – aided by Fox Opinion (known by most as Fox News) have managed thus far to win an argument that’s killing the young generation. It doesn’t matter as long as our constitutional rights are not infringed on. Believe it or not, the argument is not even about constitutional rights; it’s about protecting the gun industry that has poured millions of dollars in campaign financing to help Republican Representatives secure their seats in Washington. Don’t take my word for it. In 2012, NRA spent $12 million to help oust President Obama. In total that year, NRA spent $32 million in campaign financing. See! Your constitutional rights are not even part of the equation; it is simply the tool used to get Republican Congressmen and Senators elected. Where exactly do you fit in? What can you, the conscientious constituent, do to end such madness? Would you want to wait for another, and another, and another shooting until the tragedy is at your doorstep? It may eventually be if you continue to support the Representatives who make it difficult to pass more restrictive gun legislation. If history repeats itself, as it always has, my prediction calls for another mass shooting between 2017 and 2019 unless of course better and more restrictive gun policy is passed. Or you could wait for the gun lobbyists to tell you what you should do. ← American Pride or Global Accolade?